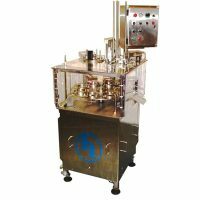 The Series 200 machines are compact, semi-automatic, pneumatically operated volumetric (piston type) fillers for liquids, creams, pastes and other viscous products dispensed in smaller capacity applications. 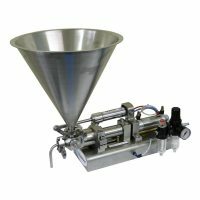 Series 500 machines are multiple head pneumatically operated volumetric (piston type) units with a wide range of applications. 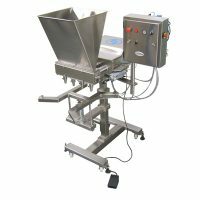 Based on commercial electronic scales the gravimetric (fill by weight) units offer accurate and rapid filling of containers up to 200 litre capacity. 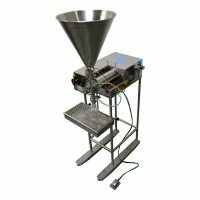 The Series 1500 Volumetric Piston Liquid Filling Systems are designed for completely automatic, multiple position, in-line dispensing of liquids and pastes. 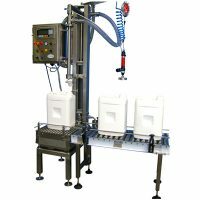 The fully automatic (in line) Series 2400 filling and lidding systems are designed to handle a wide range of stackable (round/rectangular) tubs, generally up to 1 kg/1 litre capacity. 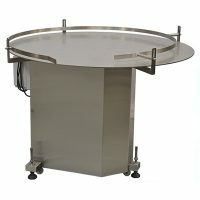 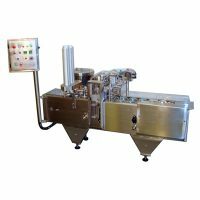 The model 160 Lid Press is a bench-top unit enabling operators to apply lids to plastic containers with minimal risk of stress or other injury. 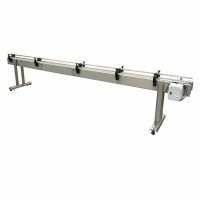 Our high quality slat conveyors are designed for handling a wide variety of container types and sizes, and can be easily adapted to suit your application. 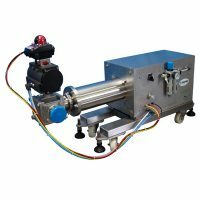 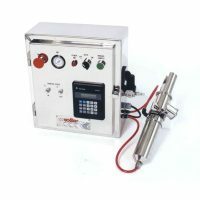 The Model 9101 transfer pump is a versatile single head, pneumatically operated volumetric (piston type) dosing unit for product supply of liquid and semi liquid products. 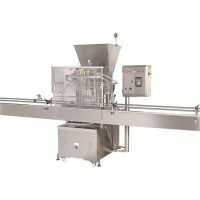 The unit is designed for use with powdered or granular dairy products such as milk powder, casien and casienates. 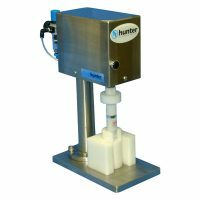 Hunter Filling Systems diverse product line includes a versatile range of rotary tables for use as either accumulators or unscramblers with filling or other packaging line equipment.